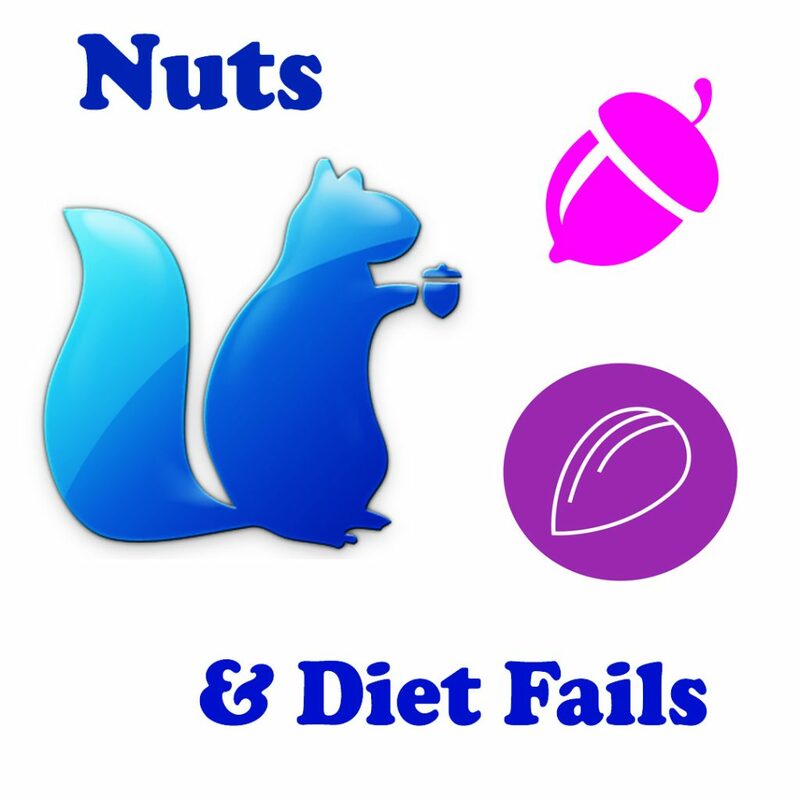 Nuts are one of those mixed bag foods that have benefits, BUT for some people can be a nightmare, particularly if on a diet. One reason for this is nuts are nice, easy to eat, don’t require preparation and can be eaten anywhere. Taking a small amount with you not the whole bag is advisable. 🥜Nuts do contain useful fats and nutrients too. But roasted nuts mean that the fats have been super heated and become oxidised, so the useful fats have now been damaged and are inflammatory. Inflammation encourages fat gain, other health issues and affects the thyroid. 🌰The other reason is that nuts contain lots of lectins and these sticky molecules can be inflammatory and allergenic which is why some people don’t get on with nuts for health reasons. 🥜Some lectins do something called ‘molecular mimicry’ & bind to receptors in the body. Some lectins bind the insulin receptor which means glucose can move out of the blood and into cells, thus dropping blood sugar triggering hunger. Also insulin is a storage hormone so lectins if they act like insulin send the body into ‘storage mode’ (mainly fat). 🌰Not all nuts are equal. 🌰Cashew nuts are less inflammatory, but contain a lot of carbs so can easily kick you out of ketosis. 🥜Brazil nuts contain selenium and other nutrients, but are often mouldy. Some people are more sensitive to mould toxins than others. So brazil nuts in a shell are a better option. To remove toxins biochemically the body often requires more energy so will ‘ask for more food’, another reason why nuts do strange things to appetite. 🌰Nuts contain oxalates, which in excess cause kidney stones as well as stones in other organs and glands. Almonds and peanuts contain the the most oxalates. Some people are sensitive to oxalates so are careful with nuts or avoid them. Citrate/citric can be used to flush out oxalate as can eating a calcium containing food with an oxalate containing food. So this is why I stopped eating nuts !